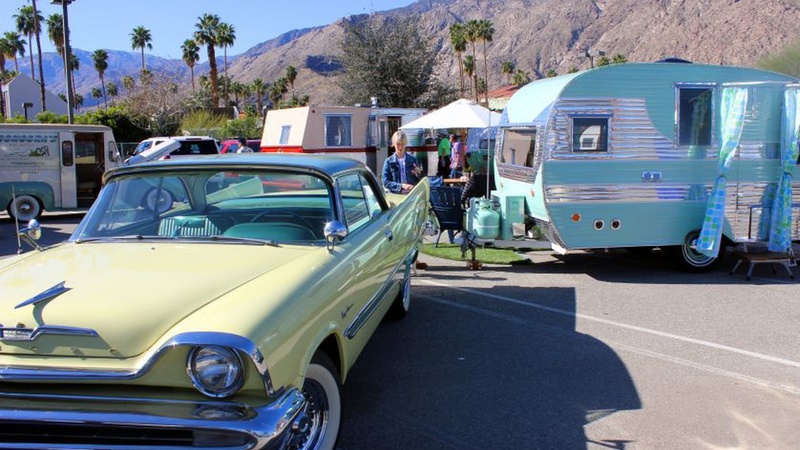 The Coachella Valley comes into bloom with Desert X and Modernism Week. But some of the Desert X artworks raise questions about development in Palm Springs. And the art fair Frieze LA opens with a nod to its Hollywood clientele on the backlot at Paramount. What will ticket holders see in the “New York streets”? How about LA’s “Homegrown Art Fair” Art Los Angeles Contemporary and other art fairs competing for eyeballs? This weekend in the Coachella Valley you will find -- blooming like desert flowers -- two festivals of art and architecture.